Classically the lowest risks of all would be Government bonds although the crisis in the Eurozone has highlighted the importance of which country’s bonds you are looking at! As a UK investor and therefore with currency risk being removed as a factor, then Treasury Gilts represent a very low risk. Time or maturity is a factor so shorter maturities like 0–7 years carry less risk than longer gilts of say 15 years+ and in theory the longer you lend out your money the higher rate of interest you should expect in return. If you want to take a low risk with your money then a bank deposit account is probably the answer. Again there will be a wide range of rates on offer. A large high street bank in theory is less likely to go bust than a small bank or building society, so these tend to pay a lower rate of interest. If you have instant access to your money then this will generally give you a lower rate than if you tie you money into an account where you can’t access it for months. An investment fund is a pool of money which is professionally managed to achieve a return for investors. In theory by being professionally managed then the fund should perform better than someone investing in the same things but who doesn’t follow the financial markets on a day-to-day basis. There is also be some benefits in having a greater buying power than an individual would have. The downside will be the fees which can vary significantly and affect returns. The risks of the fund depend on what the fund predominantly invests in, be it Government bonds, corporate bonds, large shares, small shares, property, currencies, commodities – or just about anything. A combination of all these would probably fit into the medium risk bracket, but it is beyond the scope of this article to expand too much on this. People always say of equity markets that ‘in the long term they always go up’ – well try telling this to someone who bought Japanese equities in early 1990. When and what you buy are the main factors here. Even with a market like the FTSE there are high and low risk sectors and shares, not to mention large and small capitalisation shares or shares across different countries. So just in very broad terms equities are regarded as high risk although admittedly there are plenty of ways to reduce or spread out the risk. This tends to be the complicated end of the spectrum! So instead of buying shares you might buy options on shares (the ‘right’ to buy or sell shares). Rather than buy say a mining company you instead buy a commodity – in fact commodities, foreign exchange trading, options, futures all start to become associated with higher risk. As highlighted by the latest ‘mis-selling’ refered to earlier, anything that involves the word ‘hedging’ tends to be high risk – hedging used to imply a kind of insurance policy but more often than not these days it just means taking a one-sided bet! Away from all the complicated, structured financial products that you might hear about in the news (usually when a financial company has miscalculated their exposure to something) there’s a much easier example of ‘high risk’ investing in the TV programme Dragon’s Den. The Dragon’s are basically placing bets on perhaps 5 companies that need money in the hope that one of them does so well that it doesn’t matter if the other 4 fail completely. The above is an over-simplification of risk and if you are considering any investments you need to consult a financial advisor that is authorised and regulated by the Financial Services Authority. The point to take from this article is the notion that the higher the return the higher the risk – this is not just a rule of thumb, it is a reality and there would be far less financial mis-selling if the clients of those predatory banks held on to this thought. 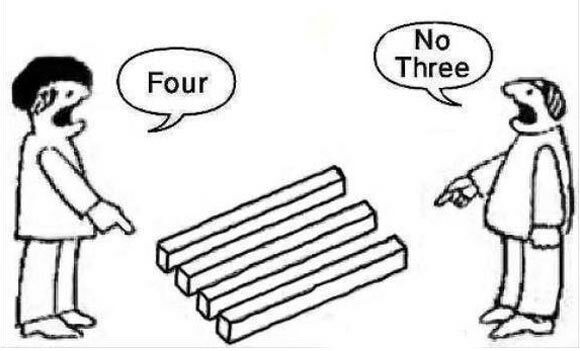 Is it 3 or is it 4 – depends on how you look at it!